What kind of revolution is the Tunisian uprising? It was almost six years ago, in the spring of 2005, that we first heard about an “Arab spring” and the domino effects and contagions that were going to spread springtime throughout the region. People in Baghdad, having participated in the first of Iraq’s post-Saddam Hussein national elections, waved their purple fingers with what seemed to be a genuinely democratic excitement. In Beirut, enormous masses of Lebanese, equally ebullient, rallied against the Syrian occupation. Dissidents in Egypt spoke up. Liberal-minded people seemed to be ascendant within the Palestinian Authority, which seemed doubly significant because the Israelis were preparing to vacate their settlements and even their soldiers from Gaza, and the Palestinians were going to be left with their historic first autonomous territory. The Bush administration’s Freedom Agenda, with the overthrow of Saddam at its center, seemed to have set off an earthquake. And the tremors from Iraq (so many metaphors: dominoes, contagions, springtimes, earthquakes, not to mention capital-H History!) were said to be radiating to all points. In the case of the Lebanese, an influence was said to have come from Ukraine, as well—Ukraine, just then coming out of its own democratic upheaval, the “Orange Revolution,” which itself was benefitting from not-very-secret U.S. support. Reporters recounted enthusiasm all over the Arab world. Liberal rumors spread through the Gulf states. Or so we were told, and not just by the Bush administration’s sympathizers. “WAS GEORGE W. BUSH RIGHT?” asked the anti-Bush French newspaper Le Monde in a remarkable editorial; the mere asking expressed the mood. As it happened, George W. Bush was not right, which raised the gravest of questions about the policy, either in its principles or in its implementation; but also raised questions about the reporting. The springtimes, contagions, tremors, and dominoes—did these figures of speech constitute, all in all, an example of simple journalistic hallucination? Or had the reporters noticed something real, a genuine kindling of liberal enthusiasm—even if, smothered under the greater power of any number of other, antiliberal factors, the kindling ultimately led to nothing much and even, in some cases, to catastrophe? The question does arise—because here we are again. The plane bearing the hated despot Zine El Abidine Ben Ali took off from its Tunisian runway on January 14; and the dominoes, contagions, springtimes, and tremors have been landing in the press commentaries and sometimes even the hard reporting ever since. And it is hard to know what to think. 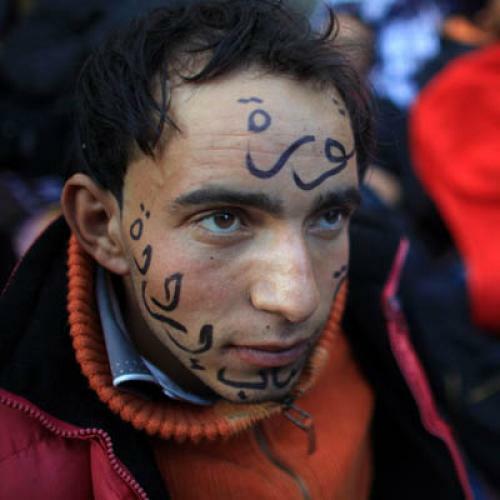 The Tunisian revolution got underway in response to the self-immolation of Mohammed Bouazizi in the town of Sidi Bouzid on December 17. The suicide was followed by a series of copycat self-immolations in Algeria, Egypt, Mauritania, and Saudi Arabia. Here are the tremors. They are indisputable. They are also macabre. Nothing about Bouazizi’s suicide, we are told, was meant to express an Islamist orientation. Suicide has nonetheless been Islamism’s signal trait ever since the founding of the movement. Suicide in the name of Islamism was the grand principle of the Muslim Brotherhood’s revered founder, Hassan Al Banna, back in the 1930s in Egypt. The Islamist revolution in Iran in 1978-1979 adopted suicide as a kind of banner. It is impossible to read of political suicides in the Arab and Muslim world and not think of the Islamist doctrine. Even so, one of the French journalists reporting from Tunisia quoted an excited participant in the revolution invoking Bouazizi’s suicide not as any sort of Islamist gesture but, instead, as a Tunisian counterpart of the self-immolation of a Czech student named Jan Palach, back in 1969. The young Palach burned himself to death in Prague as a protest against the Soviet occupation of his country—and his self-immolation proved to be a first, grisly step in the Czech resistance movement that led, a couple of decades later, to the Soviet withdrawal. The meaning of this reference, coming from a Tunisian in 2011, is unmistakable. Throughout the nineteenth and into the early twentieth century, the language of political and social revolution drew on the French Revolution. In the “short” twentieth century, from 1917 to 1989, the language of revolution drew on the Bolshevik Revolution. But, in the years since then, the language of revolution has drawn on one or the other of two vivid inspirations—either the inspiration of Islamist revolution, as in Ayatollah Khomeini’s Iranian triumph, or else the Czech revolution of 1989. The contemporary habit of endowing revolutions with charming and amusing names—instead of with labels that are nationalist (American, French) or partisan (Bolshevik, Sandinista)—began in the Czech Republic, where the overthrow of Soviet rule and of communism itself came to be known as the Velvet Revolution. The Velvet Revolution led, in turn, to the revolutions that were denominated Rose (Georgian), Orange (Ukrainian), Cedar (Lebanese), and so forth—each of which was supposed to be, at least in the slogans and imaginations of certain leaders, a liberal revolution. The comparison of Bouazizi’s self-immolation to Palach’s would suggest that Tunisia’s revolution is, like the Czech Republic’s, a liberal one, at least in the imagination of some of its participants. And Tunisia’s upheaval has been called the Jasmine Revolution: a properly charming name for a liberal event. Then again, I see that Sheikh Yusuf Al Qaradawi, the leading ideologue of the Muslim Brotherhood (who favors the extermination of the Jews, but is nonetheless regarded, by the more soft-headed commentators, as a “moderate”), regards the Tunisian revolution as a suitable expression of the Islamic spirit. The press in Syria and Iran choose to view Ben Ali’s overthrow as a fitting rebuke to a pro-Western government. Some of the militants of Hamas applaud the revolution as an admirable presaging of their own future Islamist overthrow of President Mahmoud Abbas of the Palestinian Authority. The Islamist jihadis detect a jihad. The Tunisian revolution that actually exists is probably disappointing these observers, for the moment. Ben Ali suppressed Tunisia’s Islamist movement two decades ago, and he did so with a lot of brutality. Some 30,000 people ended up under arrest—which is certainly a principal reason why the Tunisian revolution has, so far, sounded not a single Islamist note. But can anyone be confident that Islamism, for all its marginal status in Tunisia right now, will remain marginal? The Islamists, in the form of Hezbollah, are advancing from triumph to triumph in Lebanon these days. Why not in Tunisia, too—given a little time? A popular revolution against a regime like Ben Ali’s—a one-party state, led by a monomaniacal dictator, guilty of a smorgasbord of modern abuses—can only be a chancy event. The people, having endured the one-party press, have had no opportunity to pursue their own political education—which makes them vulnerable to the winds and tides of fad and pressure. Political power, being opaque, can easily fall into the hands of one or another person. Will the banned and exiled Islamists of Tunisia’s Renaissance Party, upon their return, prove to be moderate, as advertised—or will the moderation of the Islamists prove to be, as in the case of so many other Islamist parties and leaders, a deception? This is unknowable, right now. And there is no way to predict the effect of foreign machinations. I am writing this commentary in Paris (and, exactly at this moment, a parade of Tunisian immigrants is marching past my café window on the Boulevard du Montparnasse, waving Tunisian flags and chanting, “Ben Ali! As-sas-sin!”). The French press turn out to be unanimous on a single point: France’s machinations in Tunisia have been a disgrace. France’s foreign minister responded to the early moments of the revolution by offering aid—to the Tunisian police! President Nicolas Sarkozy waited more than a week before admitting that he had underestimated the crisis. The United States, on the contrary, has received, in France, almost uniformly admiring press. Secretary of State Hillary Clinton has been reported everywhere to have admonished the Ben Ali dictatorship on the importance of democratic values and Internet freedoms. President Barack Obama has been quoted offering a suitable democratic solidarity and encouragement to the Tunisian people. The French press have been, in sum, undergoing one of their occasional moments of Obama-envy. Even Wikileaks has put U.S. diplomacy in a good light. And yet there has been more to America’s policy than a handful of noble statements. Modern U.S. policy toward North Africa is some 70 years old by now. It got underway during World War II, when American troops found themselves occupying the region on their way to the invasion of Italy. The policy in those days, as the U.S. diplomatic cables of the time plainly show (see Jeffrey Herf’s Nazi Propaganda For the Arab World), was to maneuver for short-term advantage against the fascist axis and to avoid annoying anyone by insisting on a discussion of liberal and democratic principles. It is true that, after the war, the United States stood in admirable opposition, by and large, to the continued existence of the French and British colonial empires. But U.S. policy never seems to have pressed in any sort of serious way for a liberal turn in the anti-colonial revolution, at least not until the days of the ill-fated Freedom Agenda and the welcome but last-minute democratic pressures of the Obama administration. Mostly, the United States has supported the Ben Ali dictatorship. What might have happened if, over the course of these 70 years, the United States had followed a slightly different, more nuanced policy? What if, during World War II, the U.S. effort to secure Arab support against the European fascists had also included a campaign to promote liberal and democratic ideas among our Arab allies? What if, in supporting the dismantling of the French and British empires, the United States had made a sustained point, not just a desultory one, of continuing to promote a liberal outlook on world events? What if, in supporting the Tunisian government’s campaign against the Islamists these last 20 years, the United States had found a way, not just sotto voce, to advocate liberal ideas as well? To imagine sophisticated policies of this sort—to think in terms of long-term possibilities, and not just short-term goals—ought not to be so difficult. In the language of foreign policy debate, “realism” is a synonym for making short-term calculations. “Idealism” is a synonym for the long term. “Idealism” tends to be derided as a dream of a vague and remote future. But here are the crowds in the streets. The remote future is suddenly at hand. Can anyone seriously dispute that, if the United States had spent the last 70 years earnestly promoting North African movements for liberal democracy, the odds would now be greater of seeing a Velvet-influenced revolution in Tunisia rather than something worse and all too easily imaginable? But America has done what it has done, and the outcome will be—well, we will find out. Paul Berman is a contributing editor to The New Republic. This article ran in the February 17, 2011, issue of the magazine.